I wish everyday feels like this. I love the cold weather. I can embrace it without wearing a jacket or a sweater. It is also the perfect time to enjoy hot cocoa, coffee, soup or noodles. 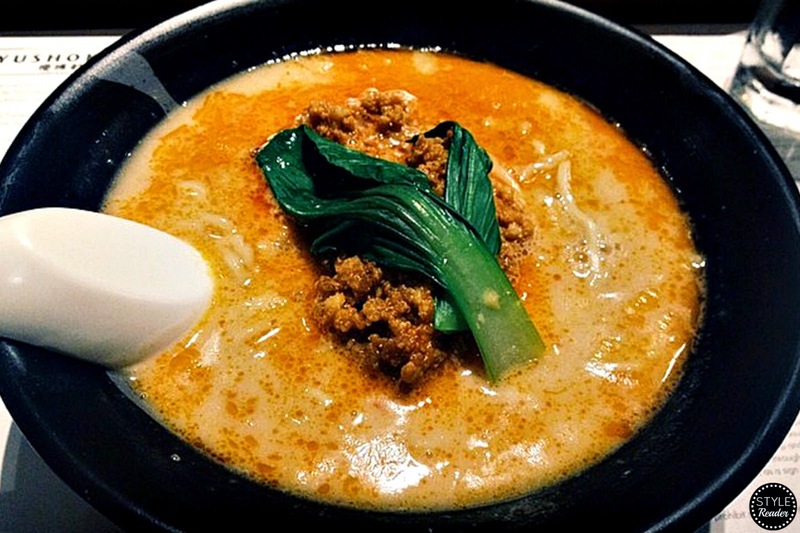 Today, I'll be sharing with you my favorite ramen place, Ramen Yushoken, introduced to me by my friend Nike of The ElectroMagnetChick during our South Adventure last year. The place really do have a modern Japanese feel to it. They do not even play music to stay true to their concept. 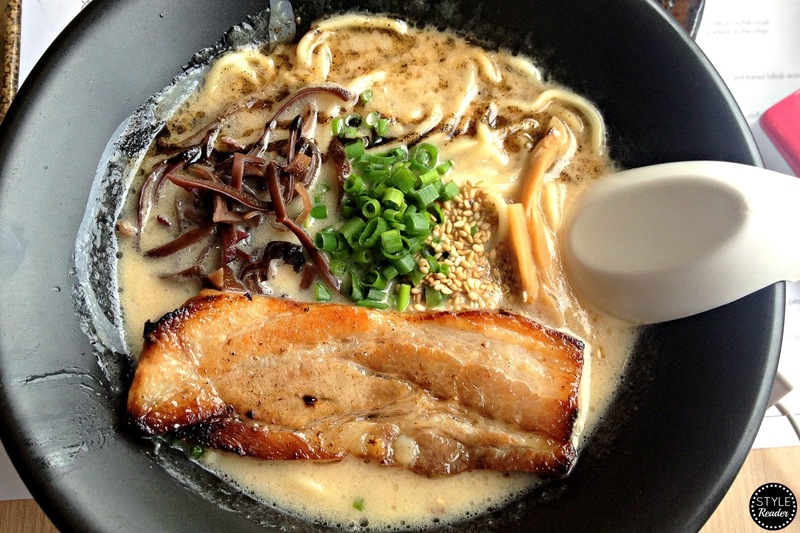 Unlike the other restaurants, Ramen Yushoken is solely focused on ramen and complementary dishes. Their noodles and gyoza wrappers are made in house. Like the authentic ramen houses in Japan, they prepare the broth in the morning which is enough to cover around 170-200 bowls. 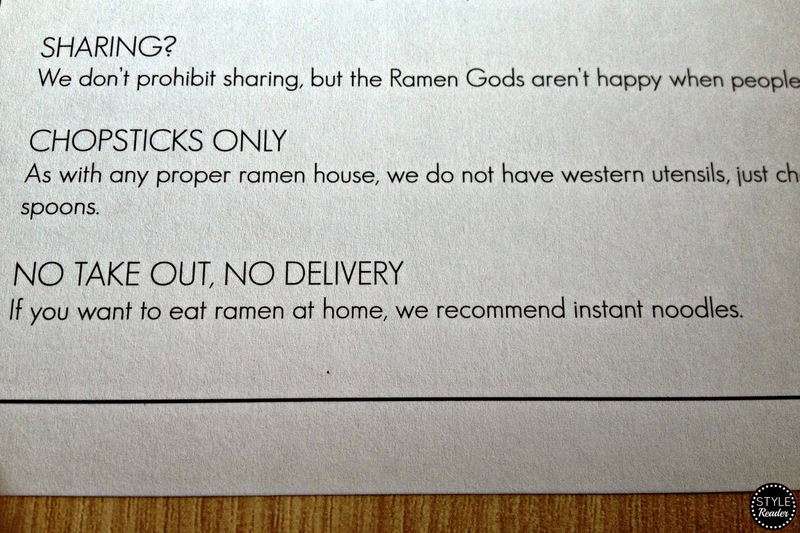 Once the broth is finished, they would have to eventually turn down some customers which usually happens in Japan, too. But they're too good that people keep coming back to taste their ramen noodles and many would also line up just to wait for their turn. 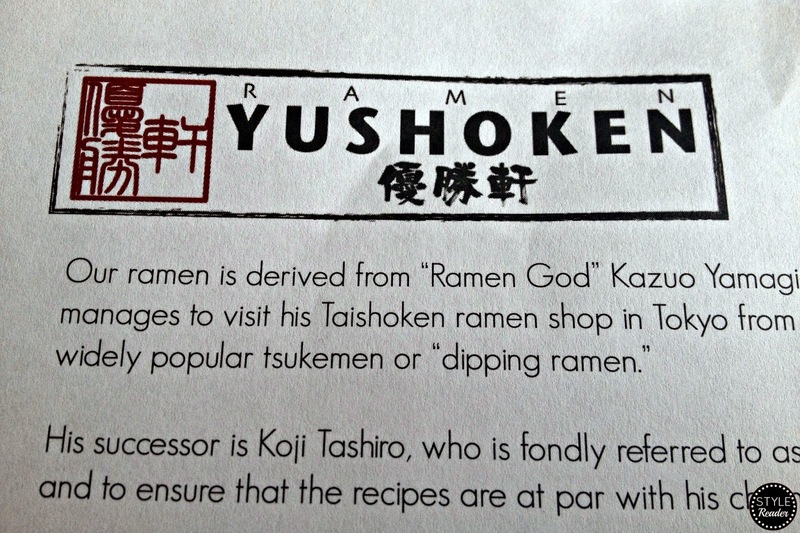 You can read the gist of the backstory of Ramen Yushoken on the paper that serves as your menu and place mat. I also enjoyed reading their reminders and descriptions. 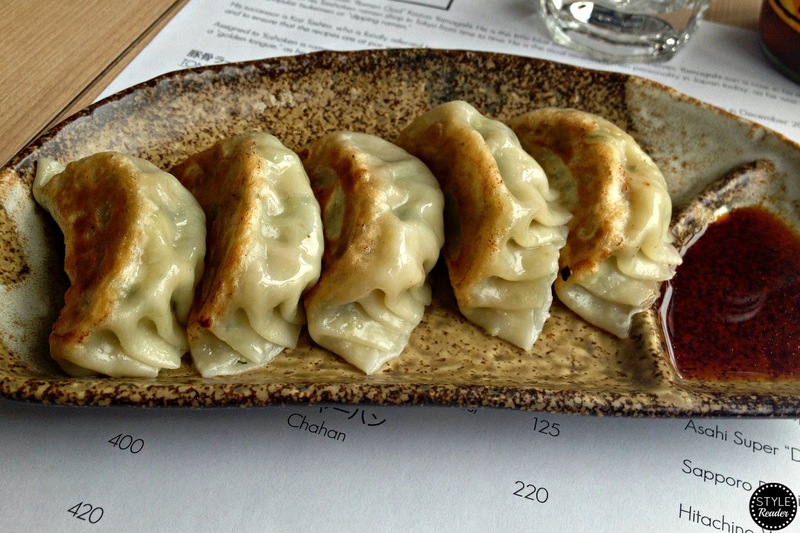 I love gyoza and because of that, I always look for the authentic taste. 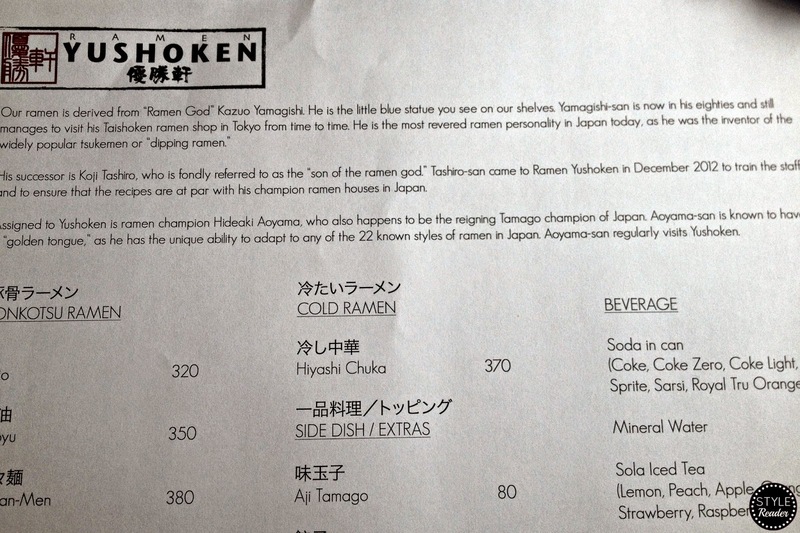 Ramen Yushoken nailed it! It totally reminded me of the ones I had in Japan that's why I even had to order another set. This was the first ramen I tried. It's quite tasty and creamy. Its flavor is very rich that I'm sure all the ramen lovers would enjoy. This one is my favorite. I love spicy food, I think it runs in the family, and this one is just SO good. The hot flavor is just right for those who love it to be subtle. So I added quite a bit more togarashi (the chili powder you see placed side by side with the other condiments)--which is an understatement. This will definitely be my go to ramen. I can't wait to go back and visit! Hope this post made you crave! Now I'm starving!